To help our readers understand just how important the Kyoto Protocol is to our planet and our future generations, we’re going to provide a summary of the Kyoto Protocol. The essence of the Kyoto Protocol is that it calls for nations to commit themselves to reducing greenhouse gas emissions. As of November 2009, 187 states have signed and ratified the protocol. The United States’ position on the Kyoto Protocol has been a subject of controversy and frustration amongst the international community. Primarily because, despite being a member of the UNFCCC, the U.S., while having signed the protocol in 1998, has to this day not ratified it. That basically means that while showing support for the protocol, the U.S. will not be held responsible if its emissions targets are not met. It’s sad for one of the most advanced and developed nations on the planet, to which many other countries look up to, fail to provide an example during such a crucial phase of our stay on Earth. Why Has the U.S. Not Ratified Kyoto? So the question begs, why has the United States not ratified the Kyoto Protocol? It turns out that the Senate felt developing nations should be included, in addition to developed nations, with fixed targets and timetables. Without this requirement, the U.S. felt its economy would be put in jeopardy. The Clinton administration found that the contribution of developing nations to the protocol could reduce its cost by as much as 60%. Kyoto Protocol estimates indicate loss in GDP. The problem the U.S. has with not including developing nations is the increase in cost of implementing the protocol. According to estimates, in its current incarnation adherence to carbon reduction targets by the U.S. would lead to predicted losses in GDP (Gross Domestic Product) of between 1 and 4.2% by this year, and 1/2 to 2% by 2020. Ratification or not, the bottom line is it’s important for us to reduce emissions and the harmful pollution of our environment by excess carbon dioxide and other gases. The goal is to reduce emissions by 5.2%, compared to 1990 levels. That doesn’t sound unreasonable to us, especially considering that shipping and international aviation emissions are not included in that percentage. In addition, ratifiers of the Kyoto Protocol can purchase carbon credits to help offset their emissions. But that’s a discussion for another article entirely. We hope you enjoyed our Kyoto Protocol summary. Comment below with questions and stay tuned to Earth’s Friends for more! Do Americans Care about the Environment? Thanks, this is really helpful and condenses all the important information in to small paragraphs. I believe the questions from other comments should be answered as well though if possible. Why was the Kyoto Protocol not enacted or enforced until the 16th of February, 2005? who was the inventor of this protocol? Obviously, the goals and the purpose of the Kyoto Protocol are easy to get behind. The foresight of that initiative, set forth in 1997, was very keen. However, it did take nearly 8 years to finally put it to use and having lived through one of the warmest winters I can remember, I think it is safe to say starting sooner would have been a good idea. 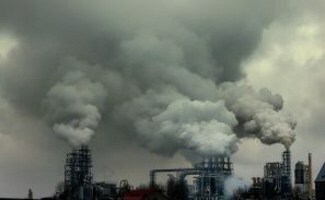 The emission of greenhouse gasses has got to be one of the primary threats to our environment and in the more industrialized nations, there is a pretty prevalent problem of these gasses having a profound effect on our global climate. However, the political and economic ramifications of the Kyoto Protocol Summary are the far more intriguing topics of conversation, particularly where the United States is concerned. Although the United States is admittedly the largest consumer nation in the world and contributes greatly to the greenhouse gas situation, the country fully supports the motives of the Kyoto Protocol. With that in mind, it is somewhat dismaying that the United States government does not employ the standards set forth by it within their own nation. However, when looked at in terms of dollars and cents, it really is not that surprising, especially in light of the United States’ economic situation of recent years. The manufacturing activities that contribute the most to greenhouse gas emissions are often costly and systemized processes that changing to be more efficient and more environmentally friendly would be astronomically expensive. Who is going to be expected to pick up that tab? Companies in the U.S. are cash strapped as it is and the U.S. government itself has got itself knee deep in bail-outs and subsidies from the housing market crash of 2008. Sure it is nice to make everything cleaner and more Earth-conscious, but doing so comes with a cost. Obviously there is the hard-cost of overhauling the processes and machinations that are currently contributing to the problem. But there is also the cost of disposing of the old equipment, training the personnel on how to use the new systems, and the time that the plant and equipment will not be producing any revenue. With every day and week that goes by, a company can lose millions of dollars by just simply doing the right thing, environmentally speaking of course. So as you can see, there is very little incentive for companies, especially public owned companies, to shoot themselves in the foot so to speak in order to “green up” their business model. The only real value would come in the form of public relations and the knowledge that they are, in fact, being responsible citizens of this planet and not using it up. Last I checked, good will don’t pay the bills. What makes the matter even more challenging is that global competition is at an all time high. With the United States economy weakened, the dollar has weakened as well and industries where the U.S. used to be a superpower, they are now trying to play catch-up. Take the automotive industry for example. Although there has been a rise in the last couple of years for U.S. auto-sales, the Japanese and Korean auto makers have long since been the standard bearers in making quality, reliable, and affordable cars. The last thing General Motors, Ford, or Daimler-Chrysler could afford right now is shutting down operations in the name of cleaning things up. The U.S. government knows this, as they are heavily invested in these companies now and it just would not be good business to put them even further behind the eight ball by enforcing the Kyoto Protocol as so many other countries have. I think the argument is absolutely valid in this case that the ends do not justify the means when it comes to coming up to speed environmentally. Yes it would be nice to have the environmental merit badge, but with so many other countries not taking that step, it would put our country at a serious disadvantage in the long term. Really, what is the point of having a clean country to live in if you do not have any money to live there. While I had heard of the Kyoto Protocol before, I was not really aware of exactly what it was. Heck, I thought it was called the Kyoto Agreement or something similar to that. This article was very enlightening in terms of providing the needed background in order to be able to speak about this with a little more air of knowledge and authority. Not that I will ever really be an authority on the Kyoto Protocol. The author points out that this is a document or treaty that had been negotiated amongst many nations about cutting their carbon dioxide and other greenhouse gas emissions. Apparently, this treaty was negotiated way back in 1997 but it did not come into force until 2005. There was some technical requirement which stated that in order for the treaty to come into force at least 55 nations had to ratify the agreement. Furthermore, the total emissions of those 55 parties needed to be at least 55 percent of the global production of greenhouse gasses. Once Russia agreed to ratify the agreement, both of these conditions were met. This begs the question as to exactly what are greenhouse gasses. According to my research, these additional gasses include methane, nitrous oxide, hydro fluorocarbons, per fluorocarbons and Sulphur hexafluoride. All of the countries which have signed and ratified this agreement have committed themselves to cutting their emissions of these gasses (and carbon dioxide). According to the protocol if they are not able to meet the targets established within the time frames established, then they must engage in emissions trading. In other words, they can buy credits from countries that were able to exceed their reduction targets. I also began to wonder as to what exactly were the goals of Kyoto. What were the specific targets that the agreement specified? The overall goal was to see a collective reduction of 5.2 percent from the 1990 emissions level, by the year 2012. Another interesting feature of this agreement was the fact that various countries were assigned specific targets which may vary. The US was expected to reduce their emissions by 7 percent while other countries had much lower targets. Of course, China and India were not obligated to reduce their greenhouse gasses at all. They were regarded as developing countries. They were not seen as the main culprits in the overall scheme of emissions. There is also a big difference between signing and ratifying the agreement. Almost every country in the world has signed the agreement, which makes it simply a nice token gesture. However, at the present moment 187 countries have signed and ratified the agreement. Only the US and Australia have refused ratification. The author also points out that this is a sad state of affairs since the US is seen as a global leader. This is a problem which we all must face and making it into a political issue does more harm than good. We need to find a way to fix this situation quickly.